Cardiff scientists have been investigating the viability of an extract from frankincense (Boswellia frereana) for treating the pain of arthritis. From the report below it appears that they think it could produce good results. Of course this is not exactly news to aromatherapists who have been using frankincense oil to treat this type of condition for many years now. Frankincense essential oil has a vary wide range of therapeutic applications, some of which include acne, asthma, bronchial conditions, cystitis, dermatitis, dysmenorrhoea, eczema, immuno-deficiencies, rheumatism, and not surprisingly – arthritis. It would be interesting to know precisely what the extract is that the researchers are so interested in, but of course that won’t be revealed until it has been developed into a licensed, marketable drug! It seems most likely that the extract they are testing is boswellic acid, which is not found in the essential oil of frankincense. Until all is revealed, aromatherapists will continue to do what they do best . 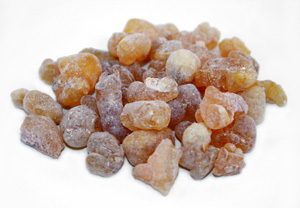 . .
A wise man’s treatment for arthritis – frankincense? The answer to treating painful arthritis could lie in an age old herbal remedy – frankincense, according to Cardiff University scientists. Cardiff scientists have been examining the potential benefits of frankincense to help relieve and alleviate the symptoms of the condition. “The search for new ways of relieving the symptoms of inflammatory arthritis and osteoarthritis is a long and difficult one,” according to Dr Emma Blain, who leads the research with her co-investigators Professor Vic Duance from Cardiff University’s School of Biosciences and Dr Ahmed Ali of the Compton Group. “The South West of England and Wales has a long standing connection with the Somali community who have used extracts of frankincense as a traditional herbal remedy for arthritic conditions. “What our research has focused on is whether and how these extracts can help relieve the inflammation that causes the pain,” she added. This is a very well written article. I will be sure to bookmark it and come back to read more of your useful information. Thanks for the post. I will definitely return.